From Kit Rae's popular Swords of the Ancients mythological series, this is Mithrokil, the sword of the Mithrodin war lord Kethol Av Torketal. No True Swords or Swords of the Ancients collection is complete without the addition of the Mithrokil sword.Each of these designer swords features one-piece tempered 3Cr13 stainless steel construction. 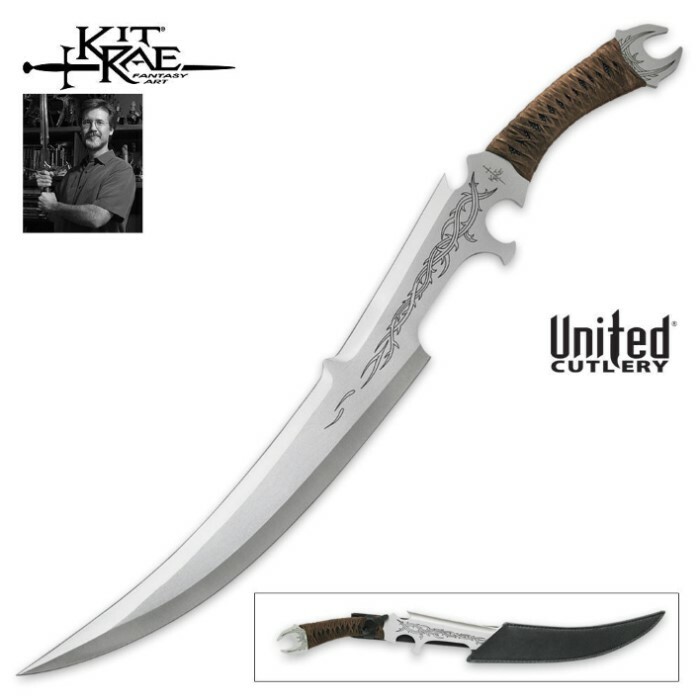 The blade features a pronounced curve with fantasy edges and styling including an intricate laser etching. The handle grip is wrapped in faux suede with a double spike pommel. 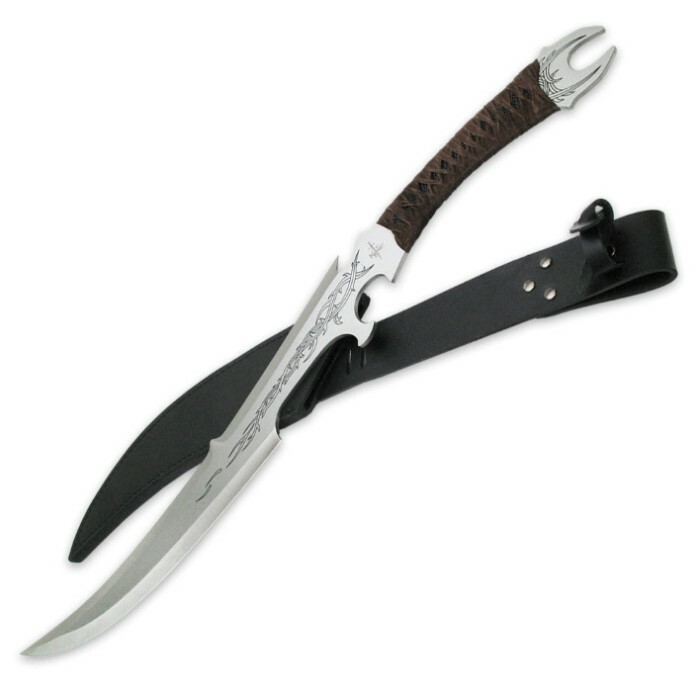 It comes to you with a custom leather scabbard and measures 25-1/2" in overall length. Like all Kit Rae originals, it's backed up by a certificate of authenticity. Just got my sword today and it was well worth the wait! The sword has a great feel, well weighted and suits my grip well. I wish I'd bought 2, they'd look incredible as a set! I just received my pair of Mithrokil blades (I treated myself to two for Christmas) and I couldn't be happier! They look beautiful, are razor sharp and look outstanding in my collection. These were worth every penny and more.